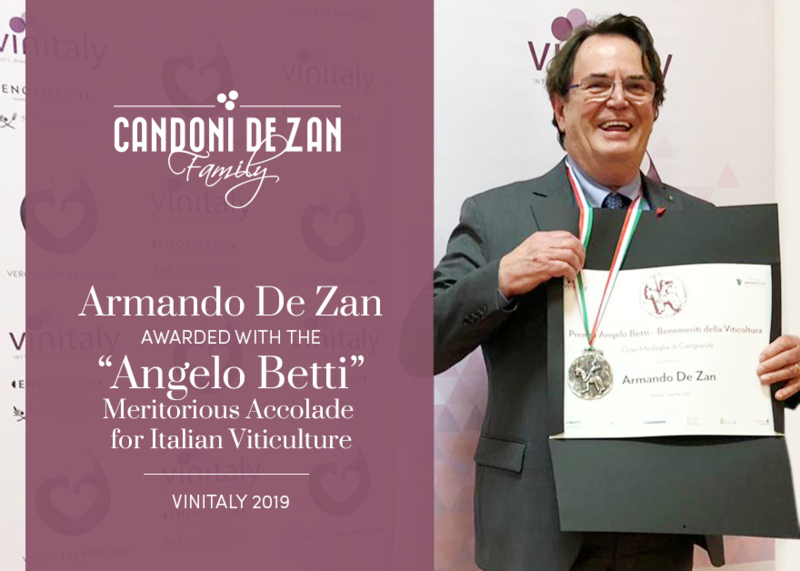 On the opening day of Vinitaly, now going on in Verona, Armando De Zan owner of Candoni De Zan Family Wines, was awarded the ‘Angelo Betti’ prize for Italian viticulture. Every year since 1973, this meritorious accolade is awarded to the great interpreters of the Italian winemaking world. Discover more about our brands Candoni, Carletto, and Tenuta Polvaro on our website.